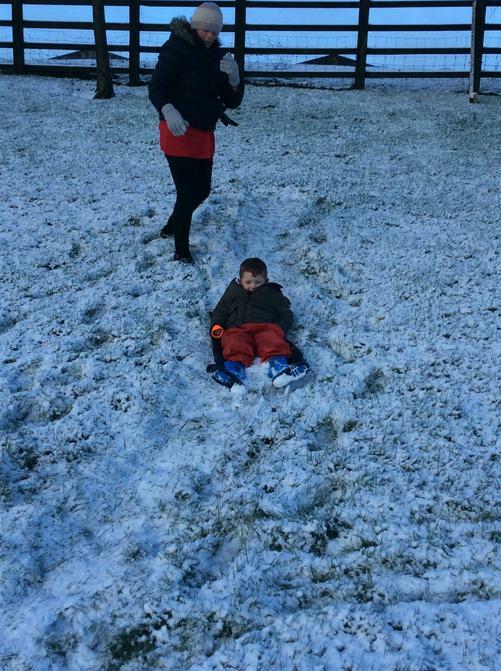 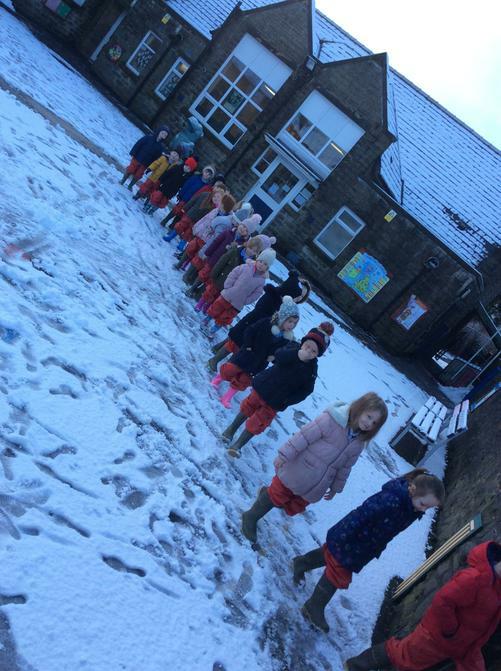 We have been outside to experience our first snow of the year. 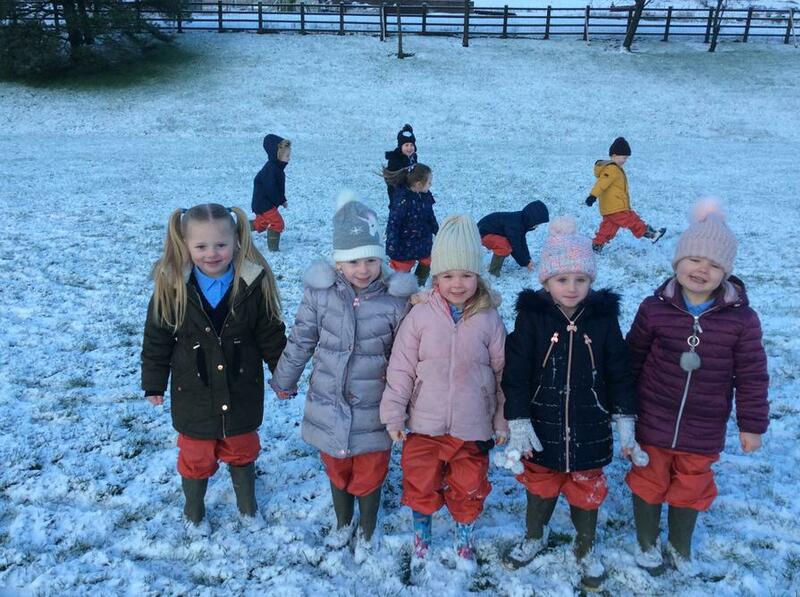 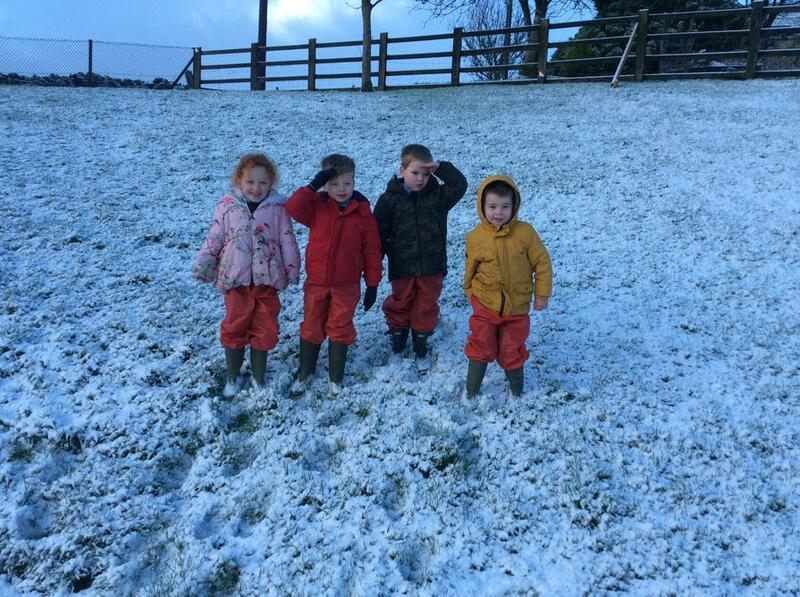 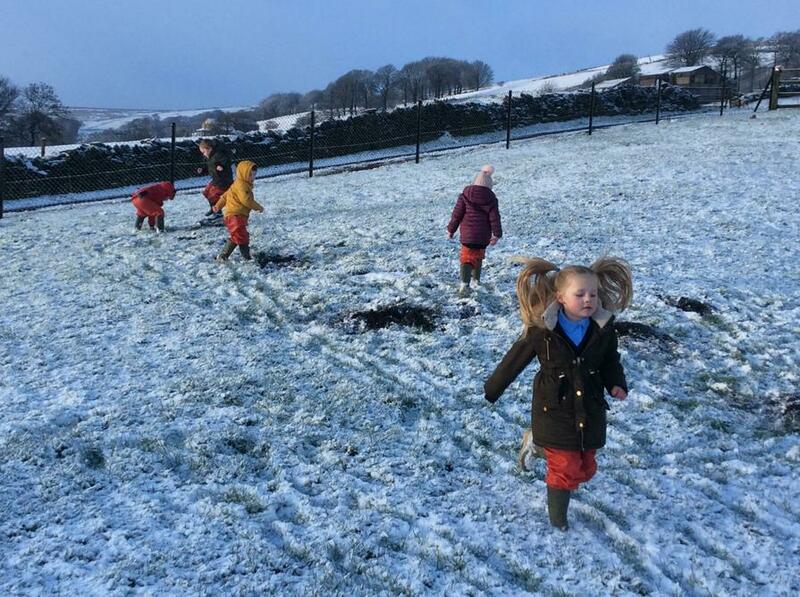 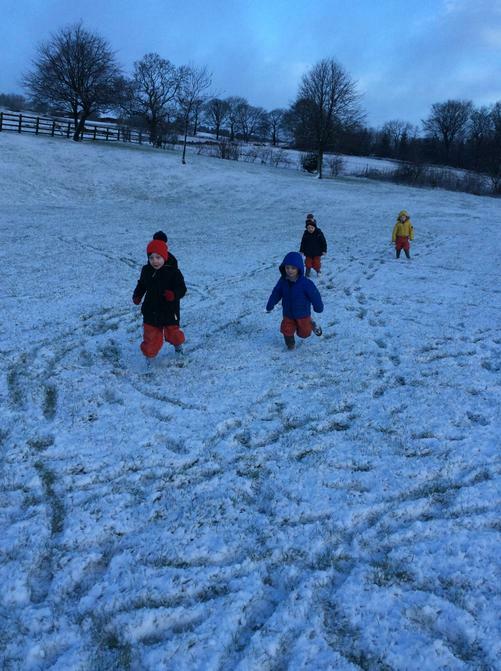 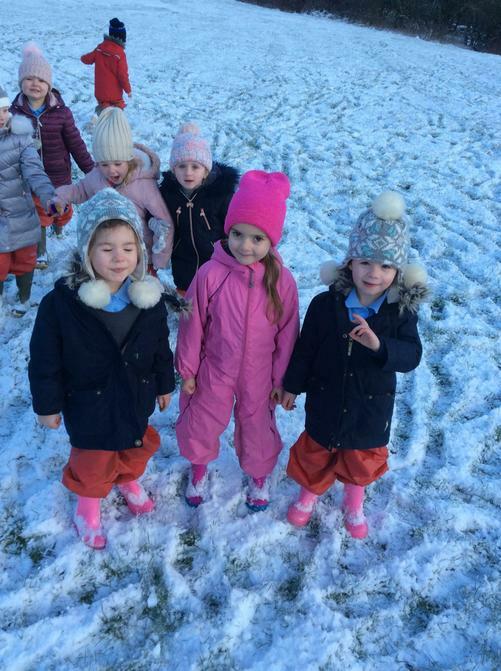 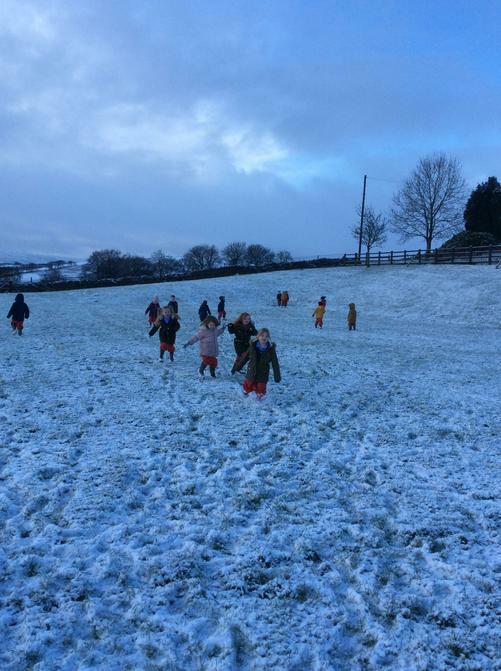 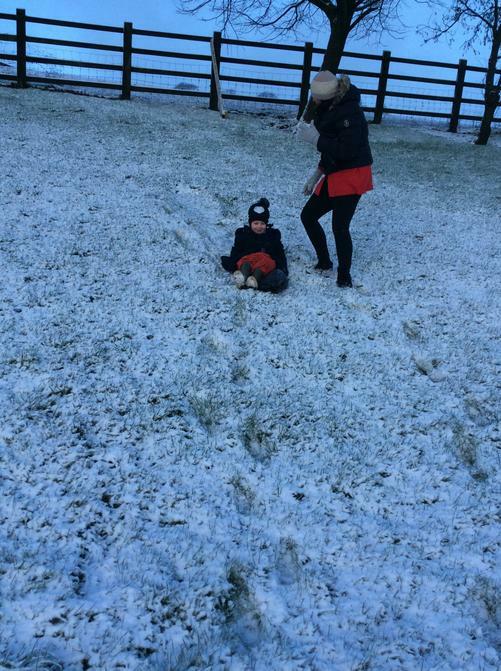 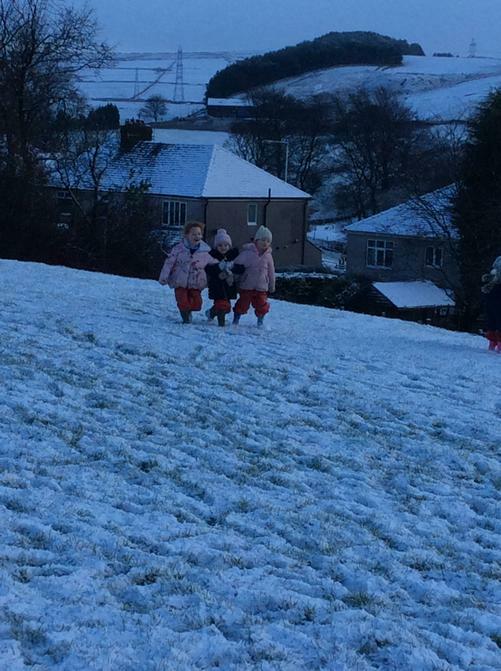 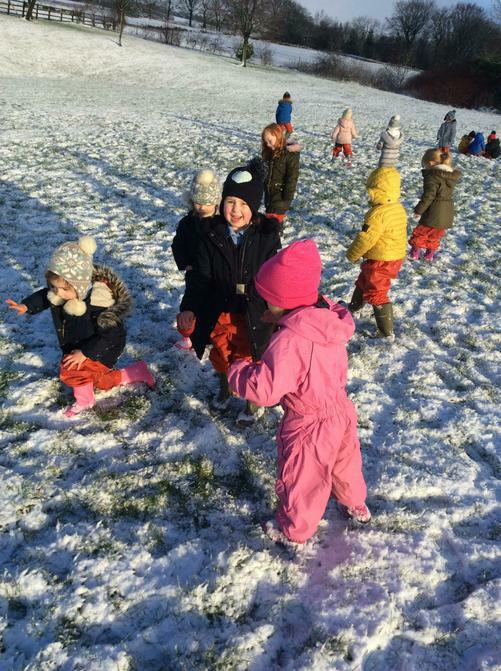 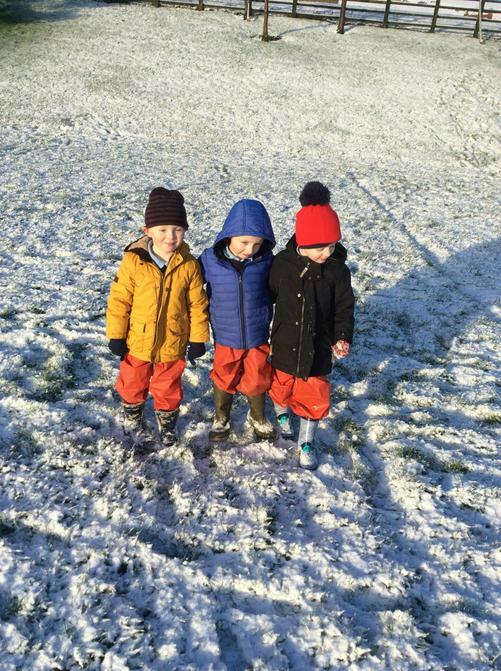 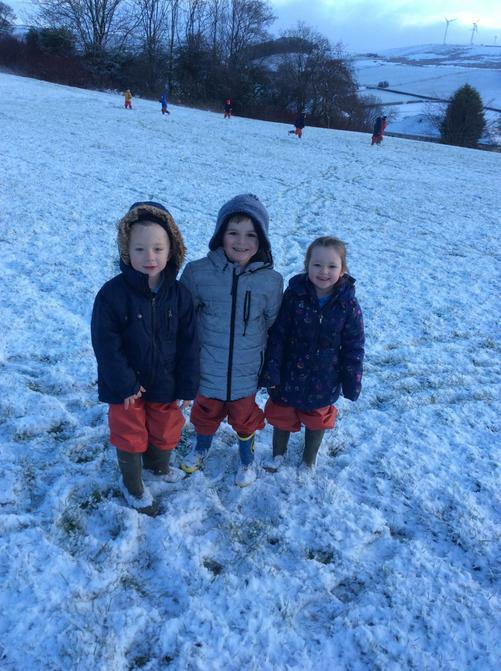 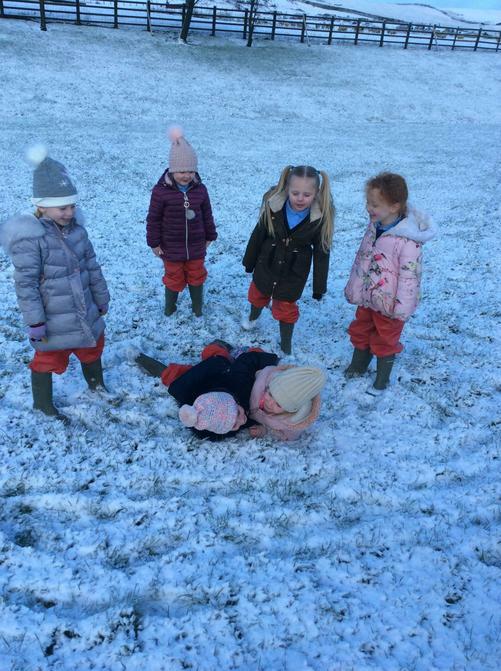 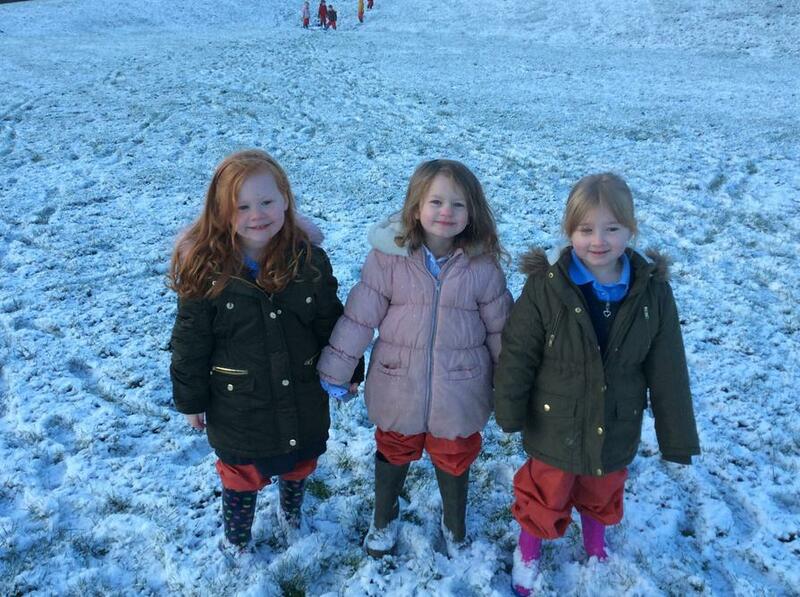 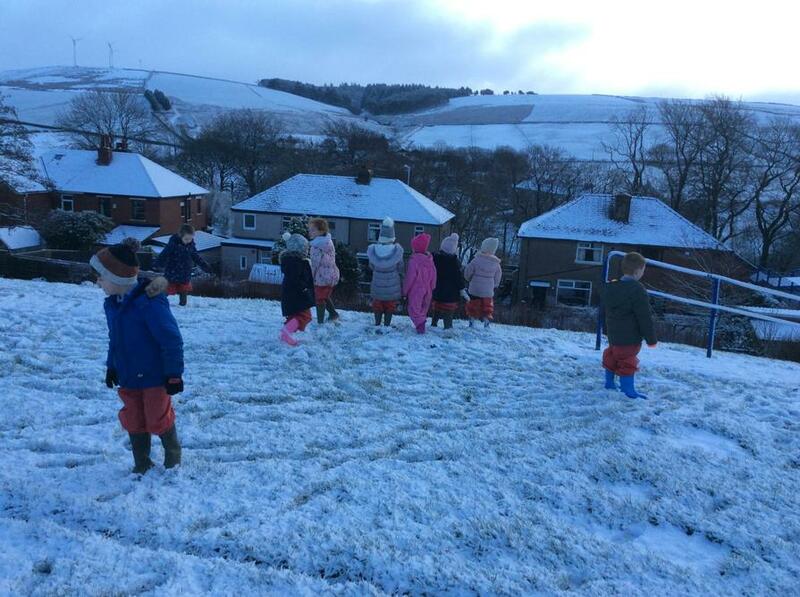 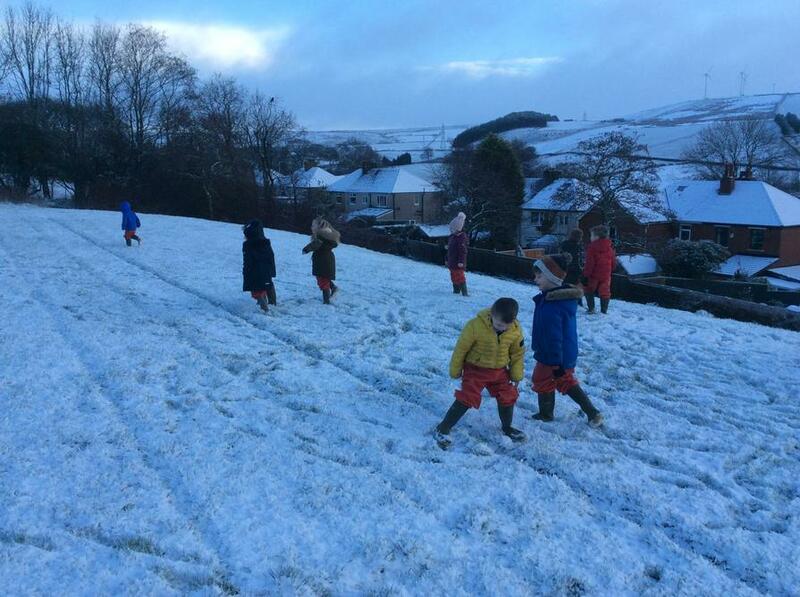 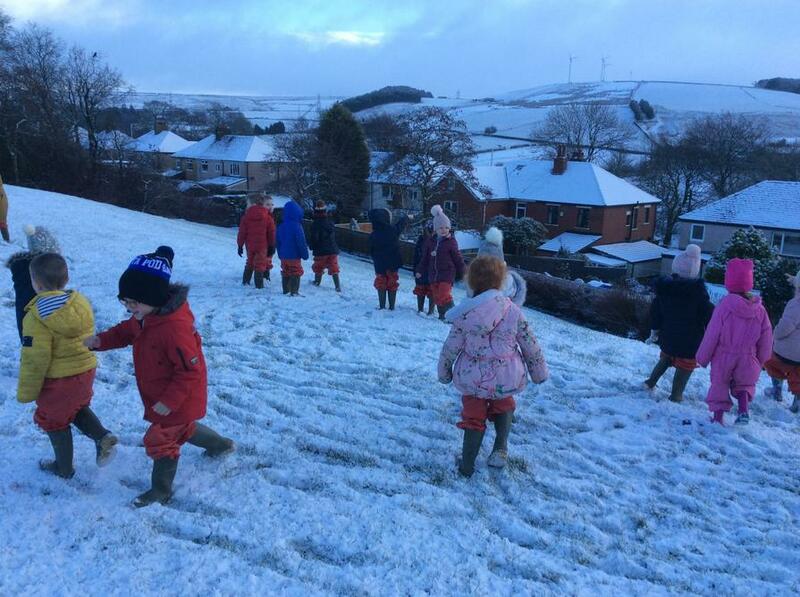 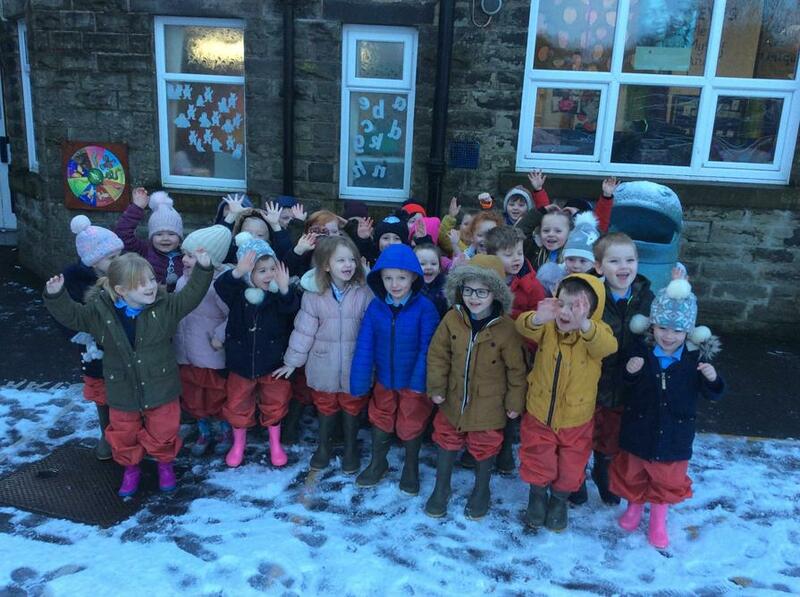 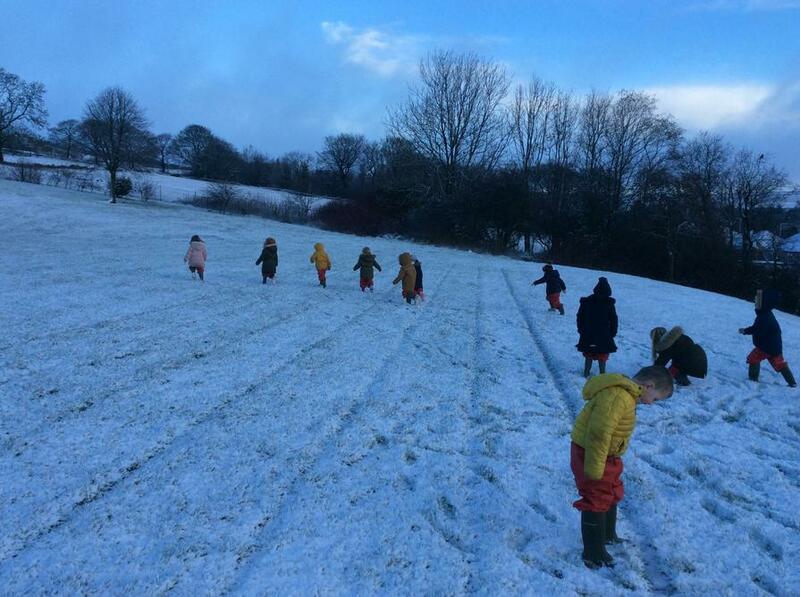 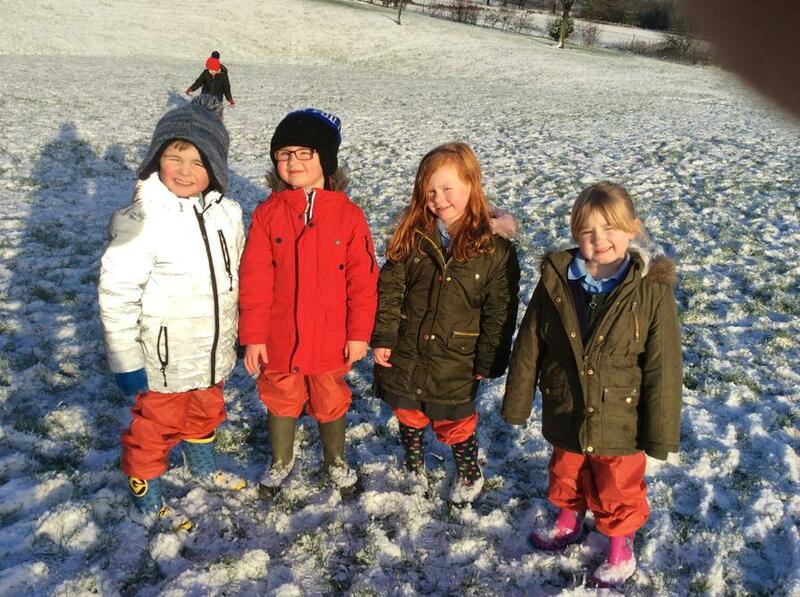 We discovered it was coldy freezing, fluffy and white, icy and wet, the grass was under the snow, it was slippery and looked like crystals, it stuck to our wellies and our feet were cold! 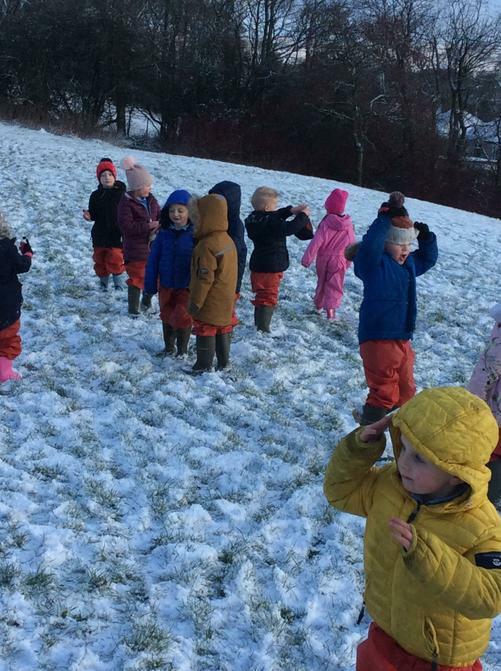 We can also make snowballs and we looked for all the snowflakes.